It can take days, weeks or even months for many artists to complete a masterpiece. But for one painter, it takes only 20 seconds. 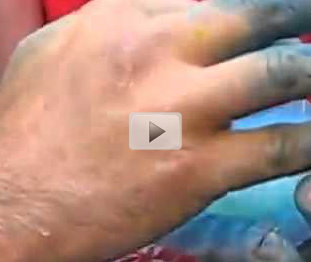 This video showcases the artistic ability of one painter. Using only some paint and his hands, he creates stunning landscape paintings in just a matter of seconds. His artistic ability is inspiring and fascinating to watch. However, be aware this is not the highest quality video but it still displays this amazing talent.